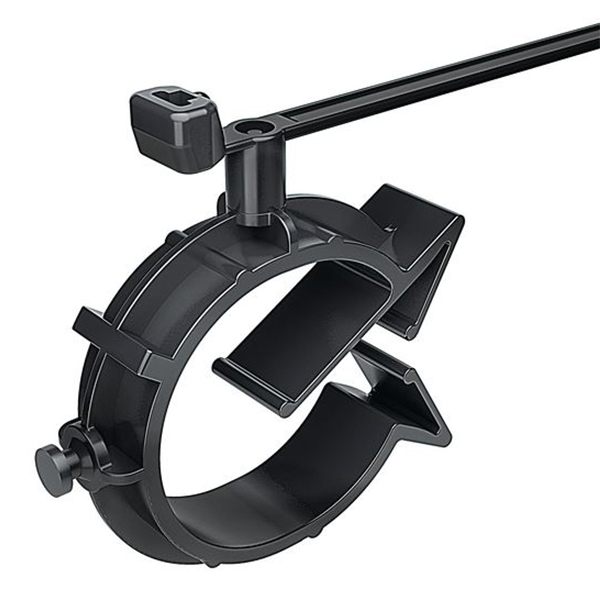 •Bundle can rotate to any orientation, allowing routing in any direction regardless of mounting point. •Clip is reusable, making relocation or adjustments simple. •All-in-one bundling and mounting solution reduces costs. •Bundle can rotate to any orientation, allowing routing in any direction regardless of mounting point. •Clip is reusable, making relocation or adjustments simple. •All-in-one bundling and mounting solution reduces costs.